Learning how to walk again is just part of the journey as an amputee, and beginning the process can often be an intimidating and emotional experience. Here at New Hope Prosthetics & Orthotics, we'll be there for you - every step of the way. First and foremost, be patient with yourself. Like any other new skill in life, learning to walk with a prosthetic leg takes time. Once you have been fitted with your prosthetic, you will begin a physical therapy regimen that will prepare you for life with your new limb. It's critical to remember that your mindset is everything when you begin to take those first steps. It may require several months to become fully comfortable with your prosthetic, in addition to achieving the flexibility and gaining the strength required for optimal mobility. Regardless, attitude is everything. Remember: you can, you can, you can! In order for your prosthetic to be successful, proper fit and design are absolute musts. A certain degree of discomfort is perfectly normal when first learning how to use your prosthetic, but frequent pain and discomfort are not. The residual limb must comfortably fit the prosthetic and must be contoured to the bone and muscles. Here at New Hope Prosthetics & Orthotics, we do our best to ensure that each prosthetic limb is a perfect custom fit in order to quickly get you on the road to recovery. As an amputee, you must grow accustomed to new maintenance habits when it comes to your prosthetic. Regular cleaning is the most important aspect of prosthetic care, and our experts will help you determine the best course of action when it comes to taking care of your residual limb. Many debilitating conditions can occur if the skin is not properly maintained, such as contact dermatitis or even ulcers. Proper maintenance is directly associated with comfort, so make sure to follow the instructions suggested by your provider. 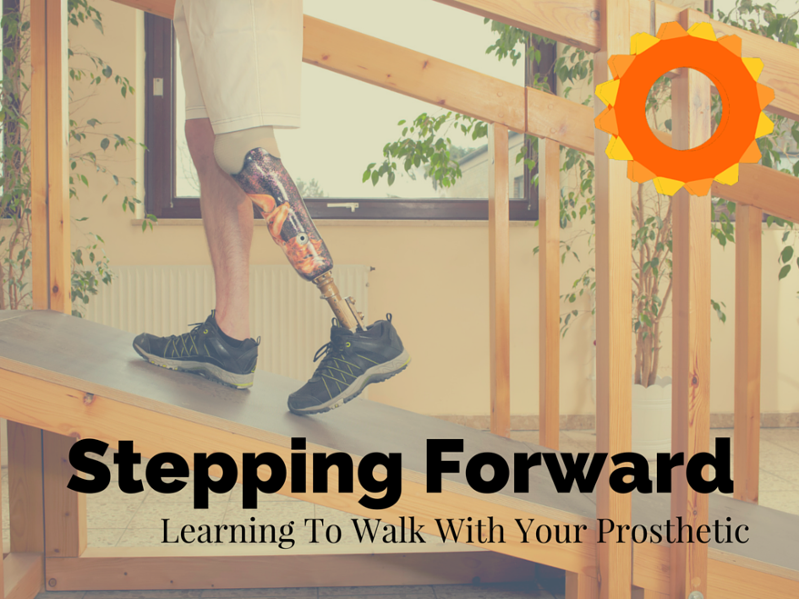 Once you've been fitted and understand the needs of your prosthetic, it's time to take those first steps. You'll need to learn how to properly transfer and shift your weight onto your prosthetic, and becoming accustomed to this weight transfer is stage one of the road to recovery with your new limb. Many amputees experience a certain level of hesitation when it comes to trusting their prosthetic to support their weight, so understand that it is perfectly normal for this first stage to take time. Don't rush, be patient with yourself (you don't want any injuries), and listen to your physical therapist as you complete the process. The parallel bars are a common starting point, allowing you to rely upon your upper body for support as you're beginning the process of learning to walk with your new limb. Eventually, you'll be able to walk confidently and comfortably without the support of your upper body. Like other skills in life, practice makes perfect! Outside the clinic, you may be intimidated by the new terrain of your surroundings. Hills, uneven surfaces, and stairs are just a few of the physical challenges you'll face with your new prosthetic. Take it slow and rely upon the advice of your provider. Here at New Hope Prosthetics & Orthotics, we'll help you gain the confidence you need to overcome these challenges. At any time, please know that you can reach out to us to help you overcome any obstacle you feel might be in your way. Stay positive, keep going, and make hope happen!